With the young C’s surging in the 2018 playoffs, there’s no question the amount of productivity that’s come from everyone on the roster. 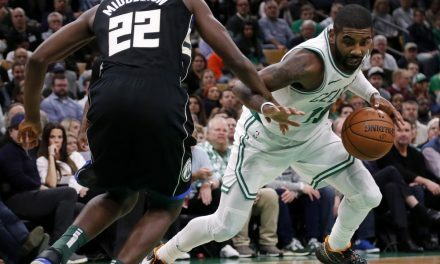 With All-Stars Kyrie Irving and Gordon Hayward out for the season, every single player has stepped up. There was even a Jabari Bird (who?) sighting late in the season, who gave the Celtics some key minutes. 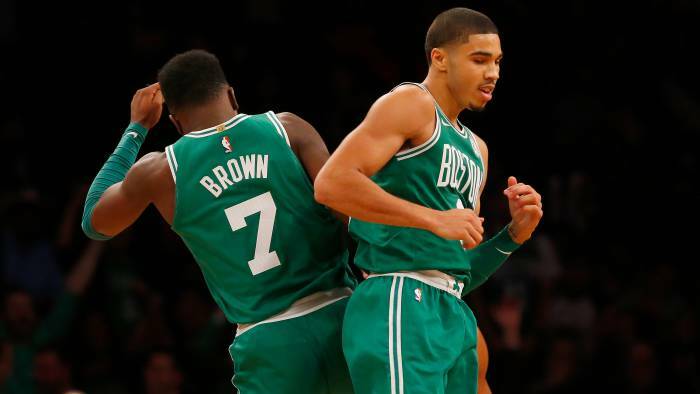 Still, there’s been this weird debate Boston faithful has brought up with the emergence of both Jayson Tatum and Jaylen Brown, and that’s “Who would you rather keep?”. This stems from possible trade talks surrounding both Anthony Davis and Kawhi Leonard, which you’d have to give up one in said scenarios, right? Most likely. Even so, the resounding opinion seems to be keep Tatum, but have we forgotten just how valuable JB is? I’m not here to pick sides, but let’s take a look at some variables to see if this is as clear as most think, or clouded judgment. You be the judge. Being his rookie year, JB came into the league as an athletic G-F who had a sweet stroke and a smooth game. Young sure, but poise is what separated him from his rookie class, establishing a quiet, yet fierce, demeanor. Having to ride pine behind Avery Bradley and Jae Crowder, Brown was still able to excite TD Garden for about 17 MPG. However, he could only muster up 6.6 PPG through 78 games and 20 starts. Hardly the Jaylen Brown we know today. Having been offense heavy with ol’ faithful IT4, JB still found a way to contribute nightly, delivering 26 10+ point nights and some flashy play. He fell off a bit in the playoffs, still his promise and intrigue is what kept fans excited and hopeful. With the NBA draft lottery over, and the luck of the Irish in place, the first pick in the 2017 NBA draft was awarded to the Boston Celtics. However, trading that pick with the Philadelphia 76ers for the number three pick confused fans. But let’s fast forward to now, where Jayson Taytum dons the old Walter McCarty and is shaking and baking defenders on a nightly basis. Added to the core of Brown, Smart, Horford and Rozier, the Celtics coupled a soon-to-be fan favorite in JT with the bunch. It was tricky to think how he’d fit in, but it left no doubt in C’s fans’ minds that he was something special. Comparably, these two seem almost like the same player. Some stats have a few numbers north or south, but nothing that really stands out. Both are electric and can get the fans behind them in an instant, and both are part of the youth movement in the NBA. Tatum, without a question, will thrive with the ball in his hands. Brown will also, but think of him as a mid-level Dwayne Wade. Without boring details, Brown actually has better stats than Wade did in his second year. But then again, so does Tatum. Who Do You Love, Are You for Sure? In 2021, the Celtics will have to deal with the question everyone is wondering: do you keep Jaylen Brown? The answer should be yes. Obviously, Tatum will bud and flourish and will be a household name in all of New England and beyond. But Brown will eventually want more money and longer security. Assumed the same for Tatum, added with Kyrie, Horford and Hayward, Celtics fans will have to break out the paper and pencil to do some math. 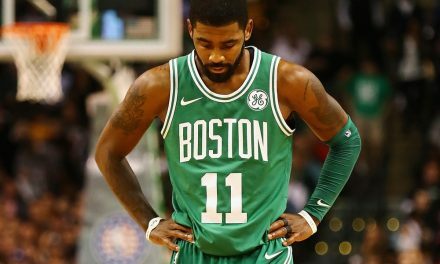 Boston just wont have enough, and they kind of put all their eggs in the baskets of Kyrie and Hayward. Horford in getting a little seasoned, so he may be out soon. It’s a tough call either way. 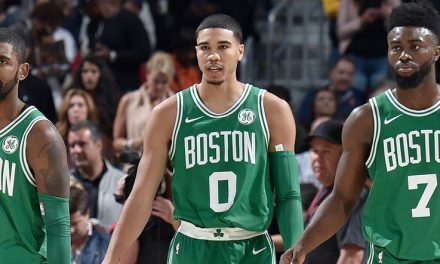 Brown certainly deserves more credit than he gets, and Tatum hasn’t gotten the praise he will in the future, but both deserve to be loved by all of Celtics nation. Without either, the Celtics may not be on the verge of dethroning LeBron. Still, don’t snub JB just yet. Not to take anything from the once-in-a-blue-moon rook in Tatum, but Jaylen has doubled in points since last year, made himself more of a scorer and deep threat, AND is work horse on either end of the floor. What more can Brown do for you? 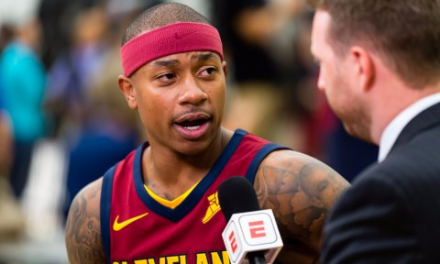 How Long Is the Celtics’ Window?